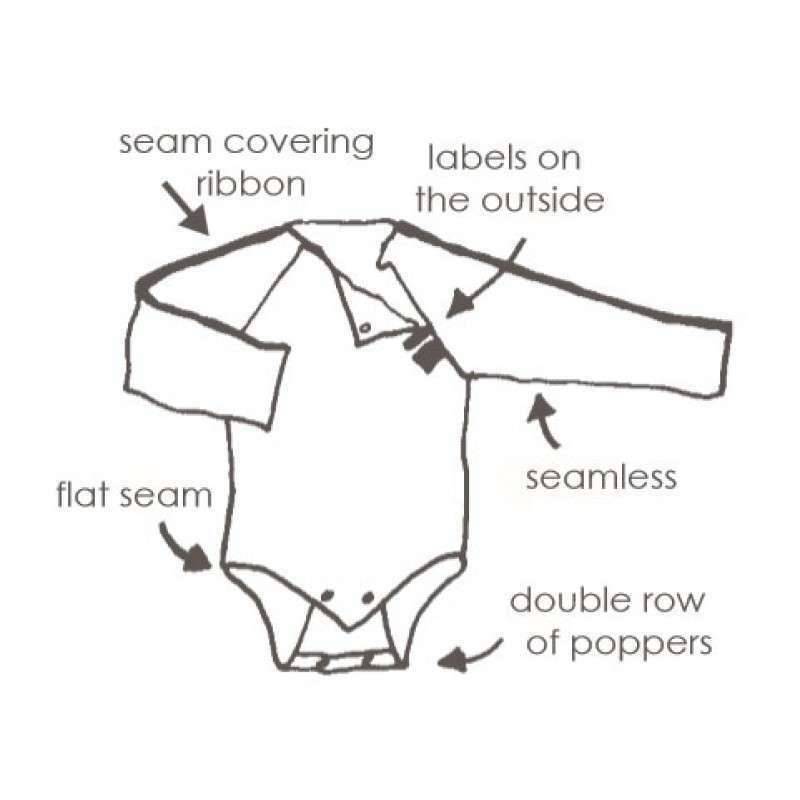 Beibamboo’s organic Over Head Baby Grow has a double row of poppers – allows adjusting and thus gives longer use for the clothing, and is excellent for a fast growing baby. 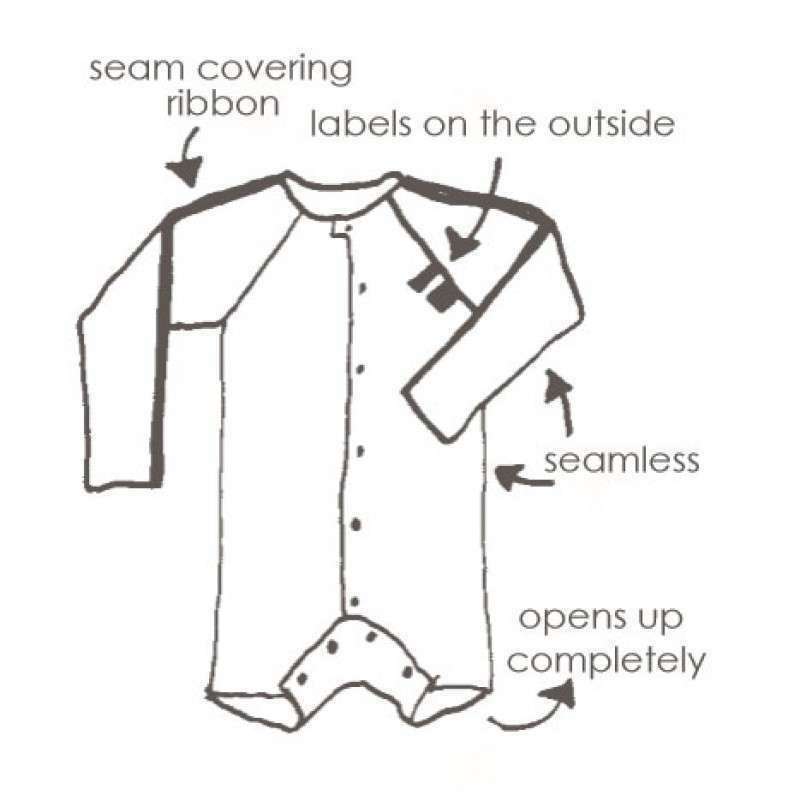 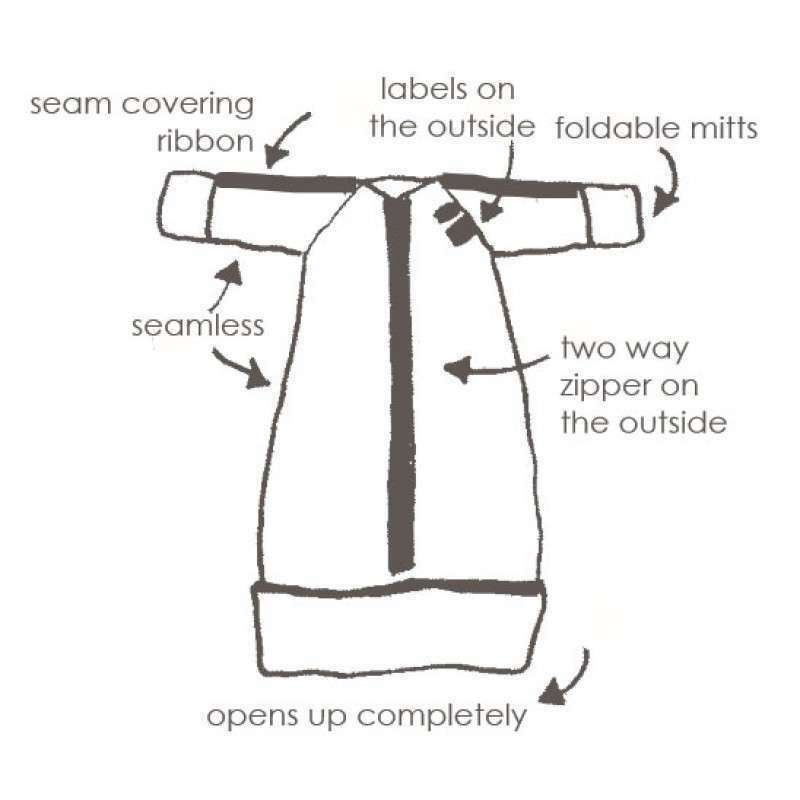 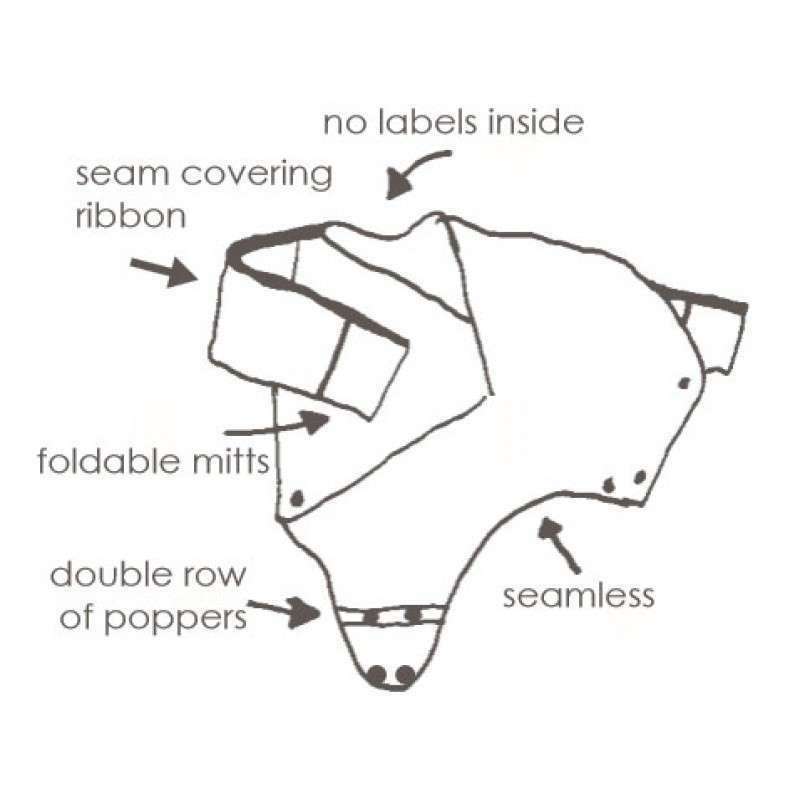 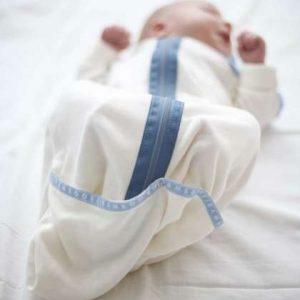 All the labels are placed on the outside of the garment – you can fasten a pacifier to them. 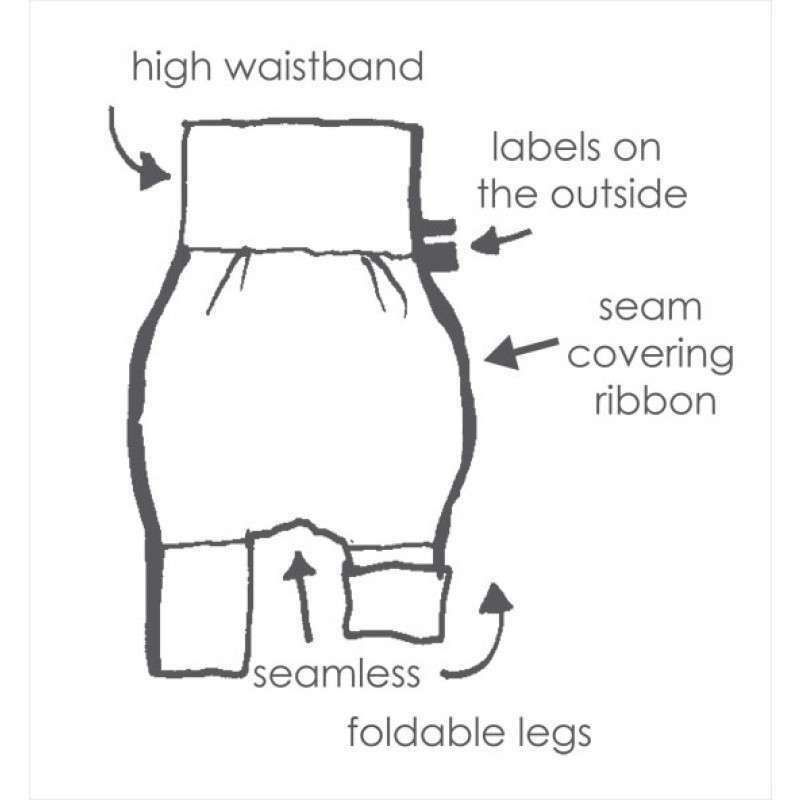 A continuous fabric edge around thighs (smooth against the skin). Our baby grows have long sleeves, because bamboo offers good protection against the sun’s UV rays.